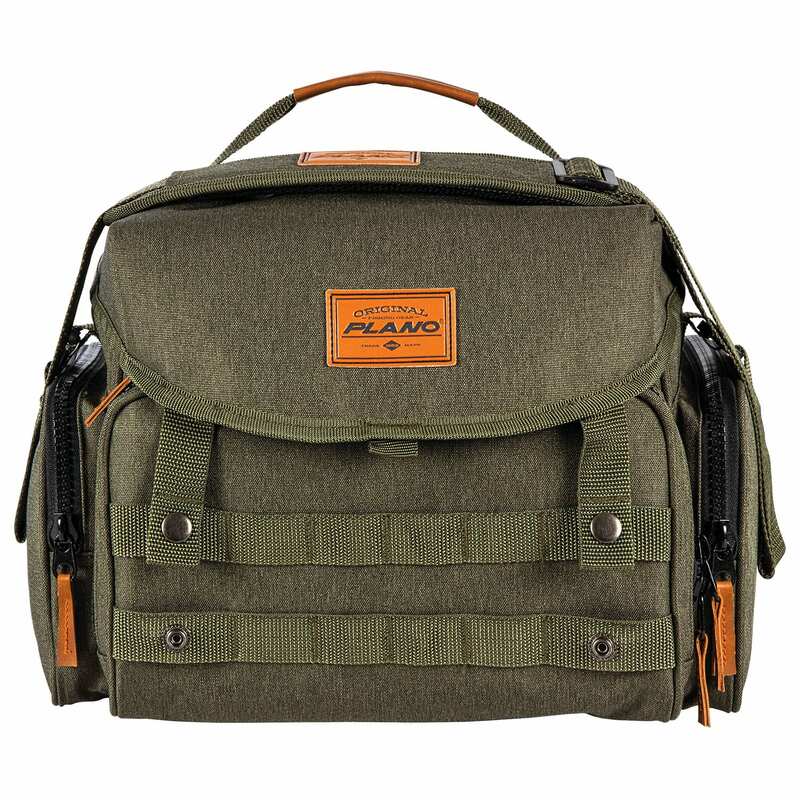 Plano’s new A-Series 2.0 Tackle Bag is as functional as it is good looking. With four 3650 Stowaway boxes, it is the ideal bag for a day on the stream or paddling to a secret fishing location. The boxes act as separate storage devices to hold the basics or hand-picked tackle for a day on the water. The main compartment is easily accessed with an adjustable metal snap closure. The top compartment of the bag is expandable, allowing extra capacity for raingear, other soft-side tackle bags and a quick shore lunch. Side and front compartments hold the tools you’ll need when you land a fish contained but at your fingertips with oversized, molded zippers. The bag also sports a large exterior mesh pocket. Soft corners and a padded shoulder strap make the bag comfortable to carry at your side while wading or hiking. The strap is removable, adding more options for stowing, while the 1.5-inch heavy-duty molded hardware improves ergonomics while dramatically improving strength. The Plano A-Series offers complete storage solutions for the serious angler. The A-Series includes classically styled bags in a backpack, duffel, and three tackle bag options.